Elina, the bravest fairy for Fairytopia has managed to be a heroin among all the fairies after having rescued the fairy guardians and Prince Nalu. But her adventures are far from over. Along with her friend Bibble, her life is very quiet until one day a guardian of the kings comes to her home, and she says to Elina that she has been selected as apprentice of guardian fairy. They must convey to Elina all knowledge that a fairy guardian must have. 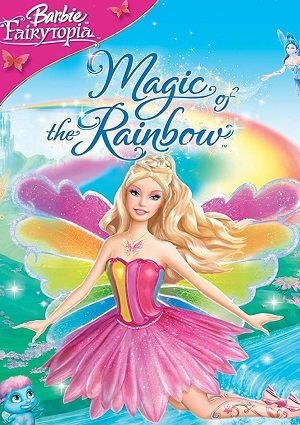 Elina accepts the invitation and decides to make the trip to the palace, where she will be trained for the day, when they must make the most important flight of the spring, a ritual when the rainbow appears. The fairies must do this perfectly or otherwise the intense cold seizes the kingdom for 10 years. All seems well with all the learners focused on the work to be performed, but the fearsome Laverna, is back with revenge wishes and wants to destroy once and for all the queen and Elina and complete her revenge. Laverna escapes her prison and knows that the only way to get revenge can be in the spring ball, so she plans a strategy that does not seem to fail. A great fight awaits Elina again and all fairy guardians, a struggle that will transform Elina forever.